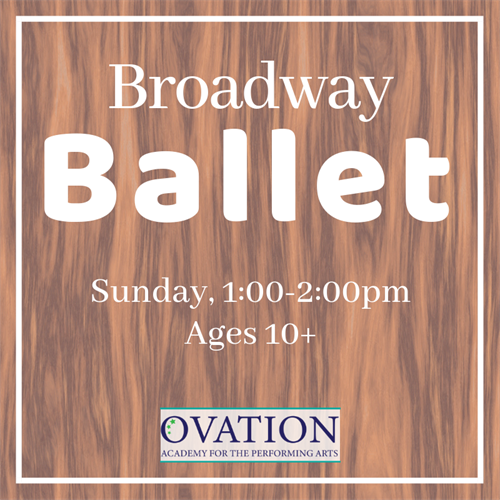 Broadway Ballet - Mar 24, 2019 - Oak Park-River Forest Chamber of Commerce, IL ? Chasse and pirouette your way to Broadway! Classes focus on the fundamental technique of jazz, ballet, hip-hop, all of which lay the foundation for musical theater choreography. Students will explore classic and contemporary Broadway choreography; learning how to tell a story through movement execute choreography of all levels. Each week, students will experience new choreography, dance styles and make exciting additions to their personal dance repertories. Sunday, 1:00-2:00 pm starting 1/27 through 5/12. See website for additonal information.